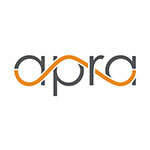 Apra’s turning 30! This year marks Apra’s big 30th Anniversary, and that calls for some celebrating. The Connections team has reached out to Apra members who have dedicated years to the organization and asked them a few questions regarding all things Apra: past, present and future. 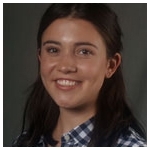 Anne Mayer is the director of advancement resources and stewardship at Wittenberg University in Springfield, Ohio. She established the first formal prospect research office in the late 1970s and provided research and information resources support to Wittenberg through three major capital projects. She was a founding board member of the Ohio Prospect Research Network — a chapter of Apra. 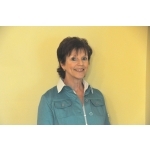 Over the years she has served several board terms for Apra and held the office of secretary and president. She attended the first national Apra conference in 1988 and served on the Apra membership survey committee from 1995-1999. See what Wittenberg has to say regarding Apra's place in her life. Connections: When did you begin in prospect development, and when did you join Apra? Wittenberg: I began my work in prospect development and advancement information services in the late 1970s when I left my career as Curator of Collections of the Brandywine River Museum and moved to Ohio. My alma mater, Wittenberg University, was in capital campaign mode and I was asked to help assist with research and also with record keeping. I joined Apra in time for the first national conference in Minneapolis in 1988 and then was also involved in the founding of OPRN. How have you seen prospect development change throughout your tenure? I have seen a largely paper-based system be replaced by a digital system. This applies both to the record-keeping and the research side of things. In fact, in the mid-1990s, as online and electronic reference sources began to take over from the original print sources, I decided to go back to grad school, and ended up with an MLS from Kent State University. The Kent State program not only gave me information about the breadth of available information sources and the latest technological developments, but also exposed me to the intellectual discipline and philosophical studies behind information provision. In fact, part of my master's research paper was the analysis of a survey of Apra members. What elements of prospect development have remained constant during the time in which you have worked? The tools have changed but the needs of non-profit institutions and their interaction with their donors have remained the same. The nexus between institutions and generous supporters is a powerful force. How has Apra benefitted you — professionally and/or personally — since you have been a member? From the time I attended the first Apra national convention in Minneapolis in 1988 until my retirement in 2006, Apra's most important benefit was the ability to interact with professionals from across the country and across many kinds of institutions. Apra programs and conferences helped me stay current in developments in the field and opened up many lasting professional friendships. Do you have any predictions for the next five to 10 years of prospect development? I hope prospect development professionals will continue to realize that they are in a unique position to provide the link between generous donors and institutions with growing fundraising needs. Technology has enabled us to do many things that were unimaginable to us in the 1970s. Not just record keeping databases and profiling/analytics systems but also "neat" things like newspaper databases. However, unless we keep the humanity and needs of our donors at the forefront, we cannot realize full potential. My greatest fear is the separation of the technical aspects of record keeping from the needs of prospect development. To achieve optimal success we need to gain recognition of our work as the professionals who link the "gold" in the databases to the fundraising team's interaction with donors. These are complex needs and require professionals with a clear understanding of the complexities of the data and its storage to work well. Dummying down systems so "anyone" can do it is not a "good thing." As a donor, I'm often aware that non-profits are not using the information I know they have (on me) when they "pull" names for any given purpose. Fundraising is a complex process and in a data-driven digital world donors are less forgiving than ever of institutions who have uninformed staffers pulling data. We all know it's far easier to lose a current donor than to find a new one to replace them. How has your work been affected by technological advances? The philosophy behind prospect development has remained the same. Technological developments have made some things possible but have also made many things more complex. It is now more essential than ever that development researchers have both an understanding of the philosophy of giving and the psychology of donors as well as the ability to manipulate databases. Technological changes have dictated that we increase the number of skills in our tool box but no amount of technological expertise can make up for the intellectual ability to find linkages between donors and institutional needs. During my studies in the Kent State program, I found the literature of Special Libraries very germane to Advancement Information Services. My favorite quote comes from 1915 and is by a man who was a special librarian for the electric railway system in Philadelphia. He spoke of the "analyzing knack." I think that, indeed, the "analyzing knack" is the heart of prospect development and the greatest contribution of development research and development or as I prefer "advancement information services:"
Do you have an Apra story you would like to share? No professional memory will perhaps supersede the excitement of the first Apra conference in Minneapolis. Response had been so strong that the beautiful conference center was overwhelmed by the number of researchers in attendance. We were all electrified by the fact that we had found kindred spirits and would be making our mark on the fundraising profession in the years to come. I was fortunate to attend many other Apra conferences but this one always stands out. It was also at this first Apra conference that Ohio attendees took steps toward the founding of OPRN. I can still visualize our little group gathered in a hallway and in most cases sitting on the floor, making plans and little knowing that we were also beginning friendships that would span decades. As a special librarian who made the jump last year to prospect research, I appreciate her mentioning the value of her MLS and the commonalities between the two industries. I love her quote from Mr. Fairchild about the "analyzing knack." So true. Nothing like the joy in finding those "linkages." It is wonderful to read Anne's comments and take on how the profession has changed - and stayed the same - over these past 30+ years. I started in Prospect Research in 1981 and remember meeting Anne early on. The profession has benefitted greatly from members like her and those who carry it on to even greater things. Hats off to Anne and all new APRA members!